On July 28, 2018, Our Village Okeechobee held their annual back to school expo where students from around Okeechobee County attended and received free backpacks and school supplies, as well as learned about resources and opportunities available to them at school and in the community. 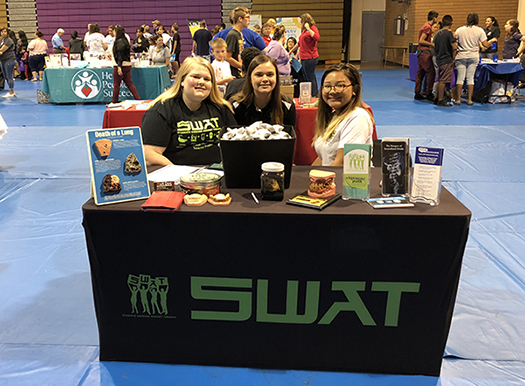 The Okeechobee County Students Working Against Tobacco (SWAT) Program set up a booth at this event to reach the 700+ youth participants with tobacco prevention information and to recruit members for the school-based SWAT programs. During this event the SWAT youth educated the attendees that this was the SWAT programs 20th Birthday and made a video saying “Happy Birthday SWAT Club” in 20 different languages.